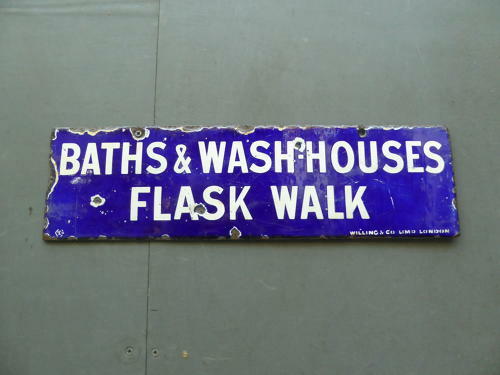 A wonderful small Victorian enamel enamel advertising sign for 'Baths & Washouses, Flask Walk'. In the traditional cobalt blue & white colourway, this small double sided sign is a real piece of London history & a wonderful decorative piece. The Wells & Camden Baths were set up in 1888 & the site is now an important listed building in London.